Although Linux is slim and speedy by default, you might still feel like you could get a few more drops of performance out of your system. Have no fear, these four tips can give you that little extra boost you’re looking for. This isn’t about making your Linux installation even leaner (although it does make a difference), No, this is all about forcing your hardware to go full-throttle. Note: Since this article is all about getting more performance, there should be no expectation of reasonable power usage. If you value power savings more than performance, this article is not for you. In other words, MakeUseOf is not responsible if your electric bill suddenly triples or more. The CPU governor controls how your CPU scales its frequency. The CPU changes its frequency dynamically so that it can use a lower frequency and thereby use less power whenever there isn’t much to do, but scale up the frequency so that it can get stuff done when necessary. The governors control how the scaling occurs, which can promote more performance or more power savings. Setting the CPU governor to “performance” will essentially force your CPU to maintain its highest stable frequency at all times. Because the “ondemand” governor is already pretty good at scaling to maximum frequency as quickly as possible when the CPU is needed, the “performance” governor will save at least a few milliseconds that would go to waste while the frequency is scaling up, plus it can boost performance for tasks where the “ondemand” governor may think that going to the maximum frequency isn’t necessary. The open source graphics drivers are pretty good for AMD users Open Source AMD Graphics Are Now Awesome, Here's How To Get Them Open Source AMD Graphics Are Now Awesome, Here's How To Get Them The AMD proprietary driver on Linux is fast but buggy, and the open source driver has now become awesome Read More , and decent enough for NVIDIA users. However, you’ll still get better performance if you opt to choose the proprietary graphics drivers instead. Thankfully, they’re easy to install in Ubuntu. Just open the Dash and search for “Additional Drivers”. From here, you can install the proprietary drivers and use them after a quick restart. For the record, Intel users only have the open source driver because Intel doesn’t have a proprietary driver and fully supports and actively develops the open source one. Then, restart your computer. Once that’s done, open the NVIDIA configuration tool again, and now you should have an extra page called Clock Frequencies. Now you can overclock your graphics card! Beware with what you do — be sure that you get informed before you touch any of the settings. To improve your system’s network performance, you can disable IPv6. While I’m all for using IPv6, most people’s ISPs don’t support the new protocol yet, and there’s nothing you can do about it. Go into your network connections manager, open up your current connection, and then switch to the IPv6 and choose “Ignore”. That way, the system won’t keep trying to create an IPv6 connection, which will free a few resources and improve performance. Of course, there are a few other things that you can do to improve your Linux system’s performance as we’ve talked about in other articles. For example, you can optimize Linux for SSDs How To Optimize Linux For SSDs How To Optimize Linux For SSDs To get the best performance and least wear-and-tear on your solid state drive, try these optimizations for your Linux system. Read More , potentially remove your SWAP partition What Is a Linux SWAP Partition, And What Does It Do? What Is a Linux SWAP Partition, And What Does It Do? Most Linux installations recommend that you include a SWAP partition. This may seem odd to Windows users – what is this partition for? Read More , make it more responsive with Ulatencyd Make Your Linux System More Responsive with Ulatencyd Make Your Linux System More Responsive with Ulatencyd To achieve ultimate responsiveness on your Linux system, you may want to take a look at Ulatencyd. 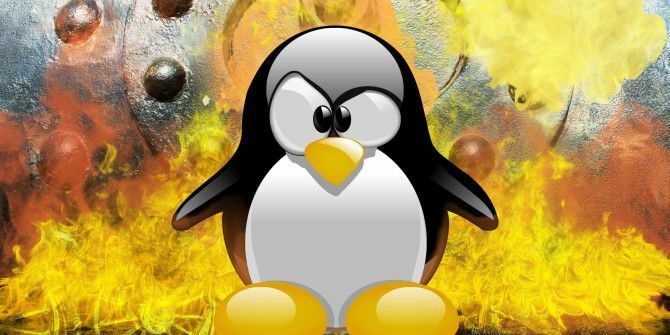 Read More , or perform 4 software-related tweaks 4 Ways to Speed Up Your Linux PC 4 Ways to Speed Up Your Linux PC Is your Linux setup not as speedy as you'd like? Here's how to speed it up. Read More to speed up your system. Be sure to check out all of them so that you can get every drop of performance you possibly can. While Linux is great, there’s a lot of potential that can be attained through lots of customization and tweaking. Why not include them already? Because people have different needs, and most tweaks are only good for some people but bad for others. It’s a bit of work, but the end results are well worth it. What other performance tweaks can you suggest? What’s more important to you, power savings or performance? Let us know in the comments! I would love to know how to get adobe flash video from websites to run in full screen mode as fluid as it would run on Windows 7. I can view local or networked 720p or 1080p video without issue in VLC or XBMC, but can barely play 480p adobe flash videos from Youtube.com in full screen in Firefox or Chromium. As a matter of fact, HTML 5 videos from Youtube.com are also horrible in full screen even at 480p under Linux Firefox or Chromium. I'm not really sure if I can help. Flash and current HTML5 video implementations aren't very efficient right now. Maybe someone else has an idea. A good place to ask is MakeUseOf Answers. Thanks for another informative Linux tutorial Danny! I work with a number of clients who are former Windows and Mac users who have made the switch to Linux and your articles always help me help them, so I appreciate it. You're welcome, Kai! I'm glad to hear that!